In fact, I don’t even know what to say to you, there is just so much. You are adventure… Glamour and glitter, fashion and fame. You, my dear, are truly, truly, truly outrageous. Is that Jem from Barbie and the Rockers? Oh, my heck…that takes me back. 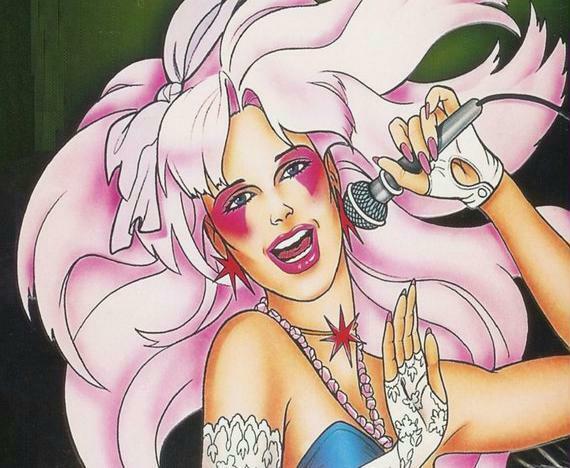 My Dad — who I visited only on weekends — used to tape Jem for me all week while I was at school so I'd have five brand new episodes to watch on Friday night. Good times. And where have all the good cartoons gone anyway?